Keeping farms and ranches productive is more than just a quaint notion for the Palmer Land Trust, which sees agriculture as the thread that holds together the fabric of the Lower Arkansas Valley. And Pueblo County should be on guard. “This doesn’t work unless the larger community makes an investment and says, ‘We want to save this,’ ” said Matt Heimerich, coordinator for Palmer’s initiative in the Lower Arkansas Valley. Heimerich and Executive Director Rebecca Jewett met Wednesday with The Pueblo Chieftain editorial board to discuss progress with a two-pronged program to keep irrigation water on farms and to improve sustainable ranching methods. Palmer is working with the Nature Conservancy on turning around the 25,000-acre BX Ranch in eastern Pueblo County. A conservation easement and a trial program to better manage grasslands aim at eventually finding a buyer for one of the region’s oldest ranches. Palmer also is helping to preserve farms on the High Line Canal near Rocky Ford in a demonstration project the trust believes can be used as a model for other ditches, including the Bessemer Ditch in Pueblo County. “The Bessemer is closer to Pueblo and the prices of farms increase dramatically. The water rights and soil are good, and we want to work there before it’s too late,” Jewett said. It’s not an easy process, mainly because conservation values for water rights typically reflect actual value rather the potential for future sales to cities. Heimerich knows all too well the potential side of the equation. 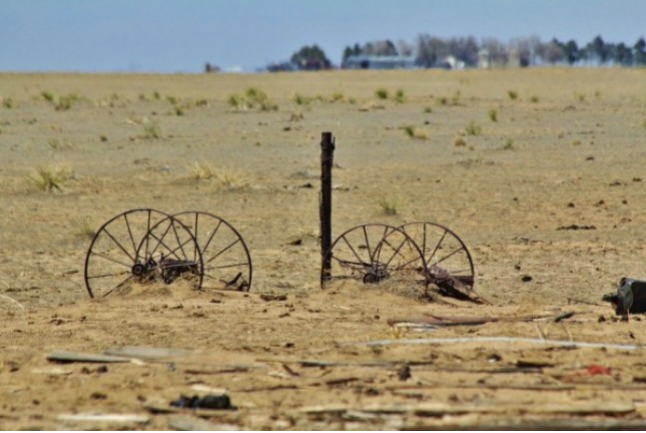 As a Crowley County farmer and former commissioner, he has seen the devastating effect of dewatering thousands of acres of productive farm ground when the water was sold to Pueblo, Colorado Springs and Aurora. He’s optimistic that cities won’t be able to practice the same sort of buy-and-dry tactics of the past, but said Pueblo County is not immune and should be doing everything it can to protect agriculture. In addition to branding, Heimerich wants to encourage food-processing industries to locate here in order to increase the value of local products, another area Palmer is pushing communities to act. Finally, he thinks the newly adopted Colorado Water Plan will provide a barrier for cities to carry out the sorts of water raids which decimated Crowley County. “Crowley County in the 1960s had the highest percentage of people who claimed agriculture as their primary source of income. I think that’s what got me interested in the land trust,” Heimerich said. When large tracts of land are disturbed, it takes more than good intentions to return it to something approaching a natural state. The recipe includes water, seeds, know-how and — most importantly — time. Those lessons have been learned in the most painful way over time in the Arkansas Valley as farmland has been taken out of production, sacrificed for pipelines, scorched by drought or ravaged by fire. Fears that those lessons have not been learned well enough have surfaced this month as a patchwork plan for farm dryups was revealed by Arkansas River Farms. The company plans to dry up about 6,700 acres of the 14,400 acres it owns on the Fort Lyon Canal, using it to support wells on farm ground elsewhere. The most painful lesson came for Ordway in 2008, when a fire ripped through dried-up farms in Crowley County that were no longer the responsibility of those who took the water off the land. The fire, started by a controlled burn fanned by winds, claimed two lives, 16 homes and 9,000 acres of mostly former farmland. Water was first taken off farms in Crowley County in the 1980s, when water owned by a cattle feeding operation was sold to Colorado Springs, and most remaining Colorado Canal shares were snapped up by Aurora. By that time Colorado Springs and Pueblo had bought Twin Lakes shares that had provided supplemental water for Crowley County farms for decades. 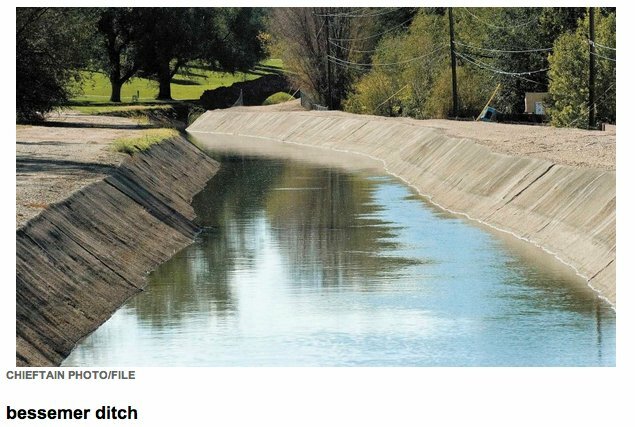 Water courts insisted on revegetation plans when the Colorado Canal shares were converted in the late 1980s, as well as for the dry-up of farms on the Rocky Ford Ditch by Aurora. Those plans appeared to be complete, only to fall apart. Shortly after the 2008 fire, the Lower Arkansas Valley Water Conservancy District sighted in on the dry-up as an important contributing factor. Not long after, the district was successful in obtaining tougher court provisions for the Tri-State Generation and Transmission Association purchase of nearly half of the Amity Canal. Annual reports on all dry-ups, temporary or permanent were required in perpetuity. It has been successful in applying it in other water cases since then. And this year, Aurora returned to lands dried up in its 1999 purchase of Rocky Ford Ditch shares even after revegetation was certified by a panel of experts. The drought had damaged some of the vegetation, so Aurora used some of its water to try to reestablish the grasses. Aurora in 2000 had to come back to Rocky Ford land that was improperly revegetated from its first purchase. All of which feeds into continued concern about the announced dry-ups on the Fort Lyon. Winner pointed to contracts when water was sold to the Lower Arkansas Water Management Authority that required landowners who had sold their water to protect the land. That led to large dust storms blowing across the landscape – even across highways — during the recent drought. “When you see that — people have died from that — you realize that it should be the responsibility forever of those who are using the water,” Winner said. One of the questions posed to Karl Nyquist, a partner in Arkansas River Farms, last week was whether water could return to lands that were dried up. The answer was uncertain. Two conservation districts in Bent and Prowers counties are proposing a plan to monitor revegetation efforts in the Arkansas River Farms dry-up. It’s modeled after Aurora’s most recent efforts, trying to incorporate all of the lessons which have been learned so far. They have pitched it to county commissioners before an application to change the use of water has been filed. “What I told them was to not be in such a hurry,” said Bill Long, Bent County commissioner. Fort Lyon Canal’s shareholders will have a hearing about the Arkansas River Farms plan on Jan. 28-29. But Long said the issues should be hashed out in water court, rather than predetermined. “I believe the water court needs to be the policeman,” Winner said. In Otero County, the corn is knee-high, the famous Rocky Ford cantaloupes are almost ready to pick and the onions, tomatoes, sugar beets and wheat are thriving in the fields. But on the north side of the Arkansas River, over in nearby Crowley County, the landscape looks very different. The only bumper crops are “noxious and obnoxious weeds,” according to a county commissioner. This is what happens when a county sells its water rights. As did many communities this year, the southeastern Colorado county had what locals are calling a “Miracle May.” Rainfall in that single month was just a couple inches shy of what the county gets, in total, most years. For the first time in recent years, Lake Meredith will have enough water for fish to survive and maybe even generate a little tourism from anglers. Still, it wasn’t enough to resuscitate the once-thriving agricultural industry nor to save the county’s last remaining feedlot, which is scheduled to go up for bankruptcy auction later this month. Water experts say Crowley is a parable for how bad things can get when cities and industry dry up farmland to buy rural water — a controversial practice known as “buy and dry” deals. But the county’s dry landscape could change if, as proposed by a group of water users representing the Arkansas River basin, the state’s water plan includes a blueprint for bringing water back to the county. 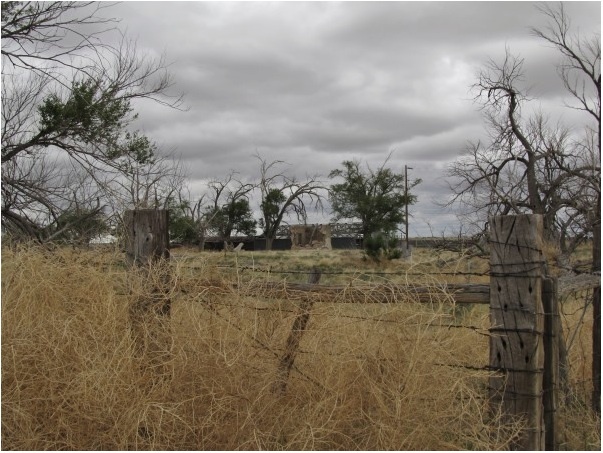 Water, and the agriculture industry that followed, didn’t come naturally to Crowley County. The county was formed in 1911 out of a portion of northern Otero County – named in honor of state Sen. John H. Crowley, who represented the area at that time. The county is bordered on the south by the Arkansas River. But the river wasn’t enough to irrigate local farms. 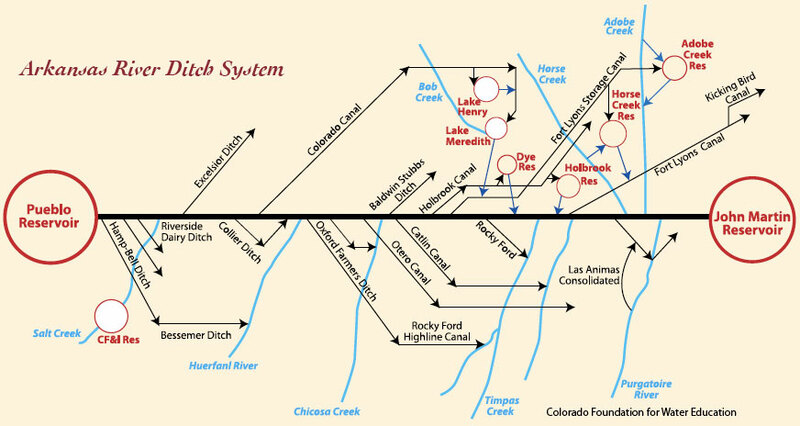 The first irrigation systems came in through the Colorado Canal in the 1890s. In the 1920s, the state built a tunnel through the mountains to deliver water from the Roaring Fork River on the Western Slope and into a new reservoir at Twin Lakes, near Leadville. Crowley County farmers paid for the reservoir. The county had its agricultural heyday before the dustbowl of the 1930s, but even after that farmers prospered. The county easily rivaled its neighbors on crop production. It was known for tomatoes, onions, corn and wheat. It had two major feedlots for native Colorado cattle, and a sugar factory for processing sugar beets. And it was famous for cantaloupe. The juicy melons, known as Sugar City nuggets, were a “pink beauty,” according to Attached to Sweetness. In the 1970s, more than 50,000 acres were irrigated in Crowley County. But Crowley’s shares in the Twin Lakes reservoir earned it attention from thirsty Front Range cities. In the late 1960s, with crops and cattle prices in decline, farmers and ranchers in Crowley County started thinking about selling their water rights. Some wanted to get out of agriculture. Others were ready to retire, and farmland was their 401(k). In 1972, the Foxley Cattle Company bought water rights from farmers and ranchers all over the county. For a couple of years, that land stayed in agriculture and continued to be irrigated. Then came the Crowley County Land and Development Company, which bought more water rights — both from Foxley and directly from farmers and ranchers willing to sell at the right price. CLADCO sold those water rights to Pueblo, Colorado Springs, Pueblo West and Aurora to quench those communities’ sprawl. According to the Colorado Foundation for Water Education, municipal and industrial users now own 90 percent of the water stored in Twin Lakes. The terms of the water sales included a requirement that municipalities revegetate the fallowed farms and ranches to restore the county’s natural prairie grasslands. But several current and former residents say the contractors did a poor job of re-seeding the prairie grass, and it quickly died. A county that once had more than 50,000 irrigated acres now has only about 5,000. In the drought of 2012, the number dropped to 2,500. Even the few remaining farmers with water rights are not guaranteed water in a year when there is not enough to go around. But according to one lifelong resident, it’s mostly dairy stock, not valuable cattle that can be sold for beef. 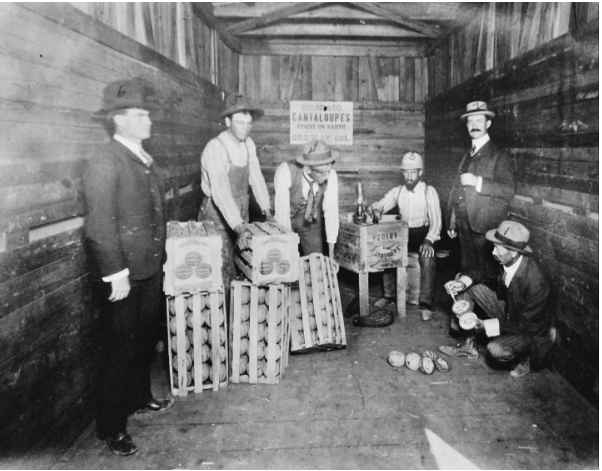 With dwindling agriculture, the county had to find another industry for its economic base. It turned to prisons. 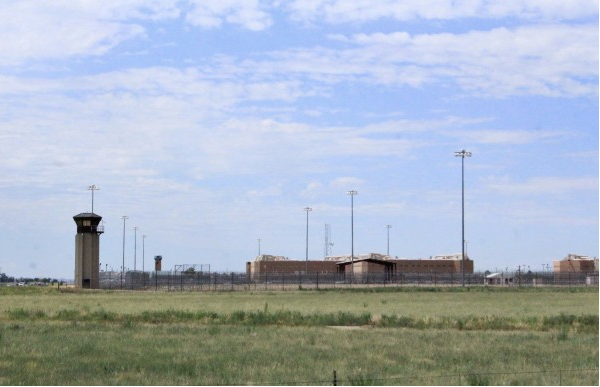 There are two in Crowley County: the state-run Arkansas Valley Correctional Center, just outside the town of Crowley; and a private prison operated by Corrections Corporations of America near Olney Springs. The county’s most recent property tax revenues totalled about $1.6 million – more than half of which came from the private prison. The most recent census in 2012 counted more than 5,823 “residents” in Crowley County, but 46 percent of them are prison inmates. Crowley County Commissioner Tobe Allumbaugh said that outside of the prison numbers, the county’s population has declined at about the same rate as its neighboring counties – about 1 percent per year. The prisons have brought jobs, but not necessarily to Crowley County. Most of the prisons’ workers live in nearby counties or in Pueblo or Colorado Springs. Commissioners Grant and Allumbaugh attribute the lack of interest in living in the county to a housing shortage. Most of the homes are small, old and asbestos-laden. It’s too expensive to tear the houses down because they would need asbestos mitigation. No one is showing any interest in building homes in the county, either, they said. While the CCA taxes contribute to the county coffers, prisons haven’t helped businesses survive in Ordway and other communities. Ordway, the county seat, has a population of just over 1,000. There are a few businesses on the town’s Main Street – mostly county and town government offices – an insurance company, grocery store, pharmacy, the reservoir and canal company offices, a couple of medical facilities and Chubbuck Motor, the local Ford dealer. The nearest farm tractor dealer, John Deere, is in Otero County. Mostly, buildings along Main Street are for sale or appear to be abandoned. Darla Wyeno, clerk for the town of Crowley, was one of those who sold water rights to the big cities. She and her husband have 120 acres on which they used to grow onions, tomatoes and melons. Today, they graze cattle on their land. She says life might have been different if the cities that bought their water had done a better job of re-seeding their land with prairie grass. The loss of water hasn’t been all bad, she said. Their son went to college on the earnings they made from the water deal. He’s now a successful banker in Colorado Springs. Her husband has an off-farm job, and both their careers mean two steady paychecks every month instead of one uncertain one at the end of the year when they cashed in their crops. Local residents now fight the rampant dust every day, never realizing that would be the impact of losing their water. Bees won’t come to Crowley; it’s too far a flight. The hay fields today have to be pollinated with bees rented from outside the county. The state water plan, ordered by Gov. John Hickenlooper two years ago, incorporates suggestions made by roundtable groups in each of Colorado’s nine river basins. The roundtables include representatives from agriculture, municipal water providers, industrial users, environmental and recreational interests and those who own water rights. Under Colorado’s complex web of water laws, once water has been removed from the land through the purchase of a water right, it cannot be returned. It’s gone for good. But that isn’t stopping the Arkansas Basin roundtable from trying to find ways to get water flowing back into Crowley County. The roundtable suggests that the county should acquire water rights to maintain permanent water levels in its two major lakes: Lake Meredith and Lake Henry. Inconsistent levels have resulted in loss of fish, blowing dust and bad odors in both lakes, according to the basin’s recommendations. Allumbaugh says replenishing the lakes could help the county become a tourist destination, although getting the water to a stable level is just one part of the solution. Two more recommendations seek water rights for municipal, industrial and agricultural needs. The roundtable’s recommendations don’t specify where that water will come from. Engineer Rick Kidd represents Crowley County on the Arkansas basin roundtable. He says the group firmly supports any efforts to get and keep water rights in the Arkansas River valley. Grant says what has gone down in Crowley County – which he has called home for the last 36 years – is pretty typical of rural communities all across the state. The Lower Arkansas Valley Water Conservancy District is purchasing Colorado Canal water rights from the Ordway Feedyard. The Colorado Canal once irrigated 50,000 acres in Crowley County, but has largely fallen into the hands of Colorado Springs and Aurora through purchases made in the 1980s. Earlier, in the 1970s, canal shareholders began selling off shares of Twin Lakes to Colorado Springs and Pueblo. Later Aurora and Pueblo West also bought big blocks of Twin Lakes shares. The Lower Ark purchase from Ordway Feedyard includes 276 shares paired with Lake Henry storage, and 282 shares paired with Lake Meredith storage. 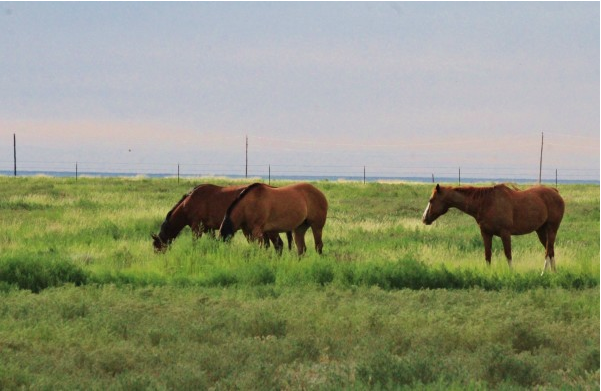 The feedlot has other sources of water to meet its own needs, most significantly a 15-year lease signed in 2012 with the Pueblo Board of Water Works to supply 700 acre-feet of augmentation water annually for a pipeline completed last year. In another matter, the Lower Ark board last week accepted two conservation easements on the High Line Canal for Jason and Jennifer Stites. The easements are for a total of 224 acres with 18 shares of High Line water, for a cost of about $360,000. The easements were split for estate planning purposes, according to Lower Ark Conservation Manager Bill Hancock. More Lower Arkansas Valley Water Conservancy District coverage here. Sand County Foundation, in partnership with the Colorado Cattlemen’s Association, the Colorado Cattlemen’s Agricultural Land Trust, Encana Oil & Gas (USA) Inc. and Peabody Energy, is proud to name the Wineinger-Davis Ranch as the recipient of the 2012 Leopold Conservation Award in Colorado. Russell and Tricia Davis’ Wineinger-Davis Ranch was established in 1938. It currently consists of over 12,000 acres and is located in Lincoln and Crowley Counties. 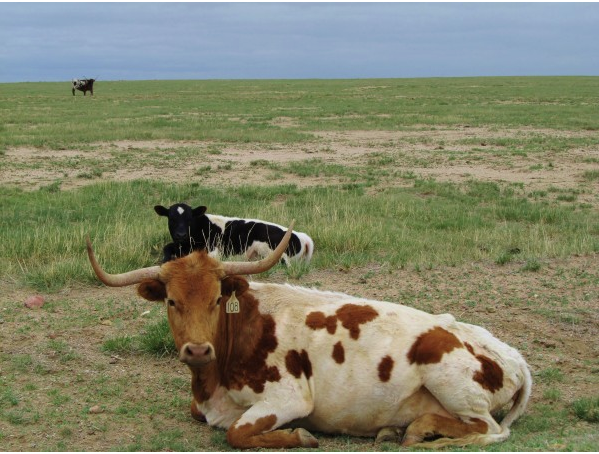 The ranch successfully integrates not only the needs of a successful and productive beef operation, but also the habitat needs of a suite of shortgrass prairie wildlife species. Among other conservation achievements, in 2004, Russell and Tricia placed perpetual conservation easements on the ranch through the Colorado Division of Wildlife’s Colorado Species Conservation partnership program. This easement protects 12,245 acres of intact native shortgrass prairie and riparian ecosystems. This agreement focuses on proper livestock grazing to benefit all short grass prairie and plains riparian wildlife species. The $10,000 Leopold Conservation Award will be presented to the Davis family on June 12 at the Colorado Cattlemen’s Association’s Annual Convention in Loveland. 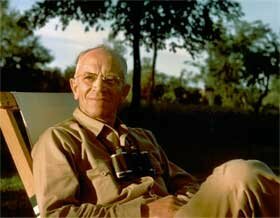 The Leopold Conservation Award in Colorado is sponsored by Encana Oil & Gas (USA) Inc., the Lynde and Harry Bradley Foundation, Peabody Energy, the Natural Resources Conservation Service (NRCS) and Farm Credit. Thanks to the La Junta Tribune-Democrat for the heads up. REPORTER: [Orville] Tomky still mourns the changes to his county. But John Stulp, the governor’s water advisor, and a farmer himself, says it would be a mistake to see the farmers as victims in this story; for many, being able to sell their water rights is a godsend. REPORTER: We’re talking about some big money here. Rights to the most desirable agricultural water can go for more than $10,000 dollars an acre-foot, and farmers often own hundreds of those. Cities are always looking to buy. It’s hard to pin down exactly how much of the state has gone back to grass, or is on its way. because of urban water buys. But best guesses put the number at hundreds of square miles. State Supreme Court Justice Gregory Hobbs is an expert in Colorado water law. He says what happened in places like Crowley county made Colorado officials more cautious about water deals between cities and farmers. REPORTER: Now the cities can’t just buy the water and walk away, they’ve got a lot to do before they ever see a drop of it. REPORTER: It’s not farming’s perpetual gamble but its potential one-time payout that has Schweizer worried these days. Over the past few decades, a lot of his neighbors have cashed in their water rights, selling to cities and retiring, along with their farms. We’re not on the road long before we see the effects of that transfer. The land changes from green to brown, weedy fields crisscrossed with the remains of old irrigation systems. REPORTER: Schweizer doesn’t want to see any more farmland dry up around here, so he and other farmers here are working on a different way to meet cities’ water needs. He’s president of what’s called the Arkansas Valley Super Ditch. REPORTER: So instead of individual farmers selling off water rights, irrigators in the valley band together to lease up to a quarter of their total water to cities. The farmers take turns leaving some of their fields bare for a few years, but they all get to stay in business. Schweizer says it might even make it easier for people like his son to continue the family farm. More Arkansas Valley Super Ditch coverage here. 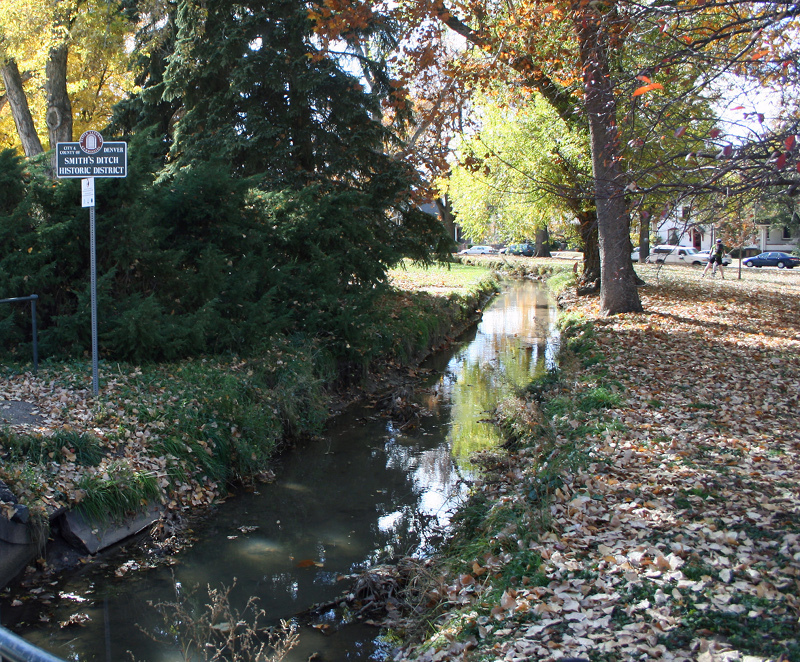 Since March, Aurora has been providing what will amount to almost 5,000 acre- feet (af) to both Holbrook and Highline Canals, systems with which the city has payment agreements. The exchange of water for normal cash payments from Aurora resulted in an extremely favorable exchange rate for the farmers of $15 per af. The city also provided the Colorado Canal with 713 af at no cost to help with continuing revegetation efforts in Crowley County. More Aurora coverage here and here.